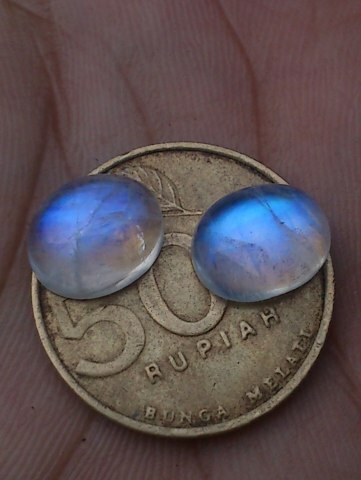 A pairs of natural Feldspar Moonstone or "Batu Biduri Laut". The gems is beautiful with its blue color coming out on the surface. 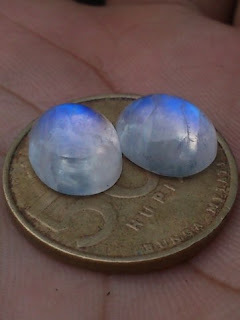 The dimensions of the gems are (1) 11,1mm x 9mm x 5mm, (2) 11,1mm x 9,1mm x 5,3mm. 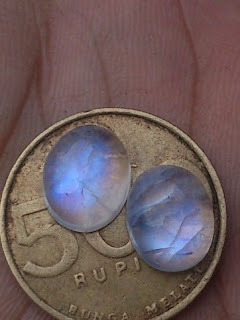 Get this beautiful gems now! 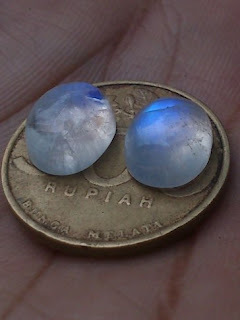 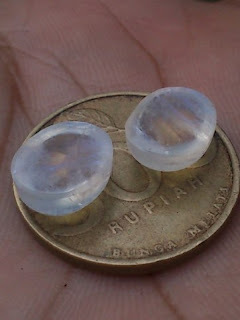 A pairs of Natural Feldspar Moonstone "Batu Biduri Laut"!